Island Networks announced today that for the second year in a row it is the recipient of a prestigious Cisco Ireland Partner award. 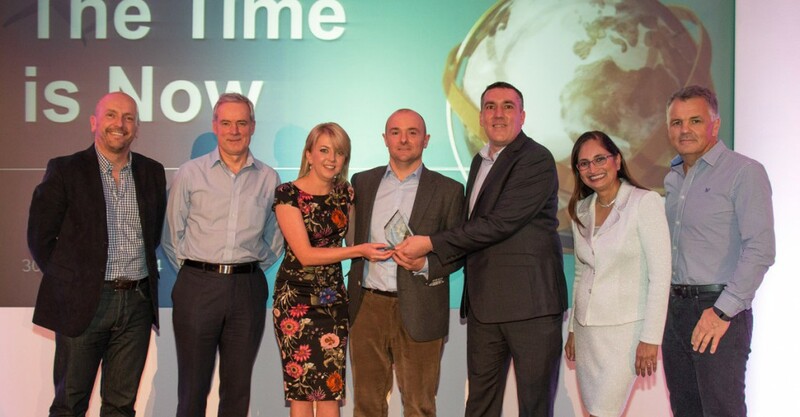 This year Island Networks received the ‘Cisco Ireland Rising Star Commercial Partner of the Year FY14’ award. 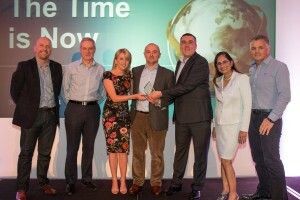 Cisco unveiled the winners of its Ireland Partner Awards on the 30th October at its annual Partner Forum. The Cisco Ireland Partner Awards recognise the achievements of a select group of Cisco partners and their innovation within the commercial market. This award further recognises the success of Island Networks who also won the NetApp UK & Ireland Gold Partner of the Year Award earlier this year in London. Pictured Above L-R: Steve Docherty, Head of Commercial and Partner Sales at Cisco Systems, Ireland; Adam Grennan, Country Manager at Cisco Systems, Ireland; Niamh McGeown, Business Support Manager at Island Networks; Feargal Duignan, Sales Manager at Island Networks; Ed Waters, Sales Director at Island Networks; Padmasree Warrior, Chief Technology and Strategy Officer at Cisco Systems; Phil Smith, Chief Executive Cisco Systems UK & Ireland. Island Networks is a privately owned IT Services company, providing cloud and converged infrastructure solutions to enterprises and government departments, working in partnership with the leading global manufacturers of hardware and software products. These solutions comprise products from NetApp, Cisco, VMware, Microsoft and Citrix together with a comprehensive suite of professional services from Island Networks, including training, implementation and support services.